An American friend based in Iloilo City, Bruce Hall, made the following observations in his facebook wall yesterday. He gave me permission to post this in my blog. 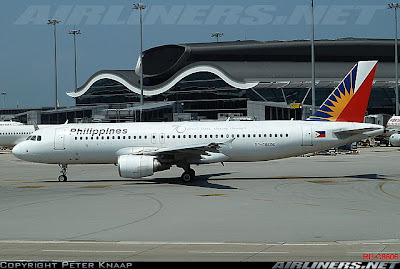 Bruce: Philippines Airlines (PAL) is a deceitful, low-class airline that will charge you excess, unnecessary fees unless you say otherwise. But extra charges should be exactly that -- extras chosen, not charged unless indicated otherwise. No wonder they are in trouble, losing to the competition. They should treat their passengers better. Sandra: You must be talking about the travel insurance that you have to uncheck when purchasing your ticket online. I'm wary about that since my ticket price jumped unexpectedly once. Bruce: I am indeed. Tricky. Deceitful. Usually I carefully look at such things but I didn't notice it this time since I was in a rush, having to prepare for a meeting. Bruce Hall ‎@Benjamin Vallejo Jr: I don't consider this a relative thing. I don't care what other airlines do. This is deceitful even if every airline in the world, including Cebu Pacific, did it. Two wrongs don't make a right. If both were doing it, they would both be wrong, both be deceitful. But Cebu Pacific does not. Cebu Pacific is more honest and upfront than PAL. Cebu Pacific forces you to click something. You have to either select it or unselect a check box before clicking through to the next page. With Cebu Pacific, if you do nothing because you don't see the insurance charge, you get an error message. With PAL, if you do nothing because you don't see it, you are charged. PAL is more deceitful; Cebu Pacific is more transparent, when it comes to travel insurance charges. Bruce: Let me also compare a bit more how Cebu Pacific does it versus PAL. Cebu Pacific has an entirely separate "Add-Ons" page that has three distinct sections. At the top is the insurance -- it is the first thing you see -- followed by Sports Equipment and World Wildlife Fund for Nature. Nothing else is on that page. PAL lists insurance "below the scroll" so to speak, squeezed between lots of fine print. Further the print is smaller. Cebu Pacific has made an effort to bring it to our attention. PAL has not, except for some small red lettering. Indeed, it looks like PAL buried it at least one "page down" or "page up" away from anything that we are forced to click. This makes it even worse. So this has been controversial. Cebu Pacific took steps to fix it. PAL hasn't. That is very deliberate on PAL's part, a decision higher up the ranks. If no one had complained then maybe PAL can be excused by blaming an underling or saying they didn't know. They know and yet they chose deceit. By the way, a friend just flew PAL from Japan. The 747 was only partially full. Did PAL therefore let people spread out and enjoy their flight a bit better, maybe even giving them enough space to lie down across two or three seats? No, they crammed everyone into the back third of the plane. Again, PAL puts their interest above the comfort of the flying public. Any other airline in the world would have spread passengers out, making them feel special, lucky even. No cattle car on PAL, the passengers could have reported to their friends. Instead PAL made it feel like a cattle car, unnecessarily. Nonoy Oplas: Good discussions Bruce. I think even PAL stewards are also deceitfully friendly. Two years ago, our Delta flight from Atlanta to Tokyo was cancelled due to plane mechanical trouble. That same plane was supposed to fly Tokyo-Manila. In short, a series of Delta flight cancellations. Delta booked us in PAL for our Tokyo-Manila fight, business class. The stewards were very friendly with us on flight. After we landed in NAIA, while waiting for our bags, some of those stewards passed us by and did not even smile to us. Bruce: I say, Open Skies NOW! People in Iloilo, where tens of thousands of Koreans live studying English, are dying to get international flights in, but of course Manila, Clark, Cebu, etc. don't want the competition. I think that one of the problems with PAL is its corporate culture. Somewhere in its corporate DNA it still feels and acts like a government monopoly. You know, PAL was the first airline in the entire world that ever weighed by carry-on! Now there are two -- PAL and Cebu Pacific. Sad. So bureaucratic. So ridiculous. I weigh dozens of kilos more than my wife but they worry about my bag being 2 kilos more than the bureaucratic rules says. So small-minded. So much time and energy -- and money -- wasted on irrelevancies. This country cannot afford such waste. Such bureaucratic-mindedness. Nonoy: My lawyer friend observed that aside from the heavy bureaucracy of PAL, he notes that PAL's US flights are not that profitable. Some Congressmen/women and their spouses would go to the US and do lots of shopping. They fly Delta or Cathay or other bigger airlines, but they load their huge shipments at PAL flights, free. Those legislators are doing some favor for Lucio Tan anyway in his tobacco business. So in this case, PAL has to earn from other sources, like the deceitful insurance charges and extra charges on hand carried luggage that you mentioned. I also support Open Sky policy. Allow as many foreign airlines to land in as many Philippine airports as possible. Those airlines have their own marketing strategies and niche markets that allow them to lure their loyal passengers to visit the Philippines. I'm sure that is heavy lobbying by both PAL and Cebu Pacific, the two biggest national airlines, to resist that policy as it will mean stiffer competition for them. But many domestic industries -- hotels, restaurants, beach resorts, mountain resorts, golf courses, other tourist and convention spots -- will greatly benefit from more foreigners coming in.